Something Blue Wedding DJs is now serving all of South, Central, Western and Eastern Ontario! We are very proud to announce that Something Blue Wedding DJs has been awarded the 2014, 2015, 2016, 2017, 2018 and 2019 "Best of Weddings" award in the DJ category for all of Ontario. In 2018 we were also inducted into The Knot's Hall of Fame! Thanks to our team of great DJs and a special thanks to all of our former clients who gave us so many outstanding reviews! 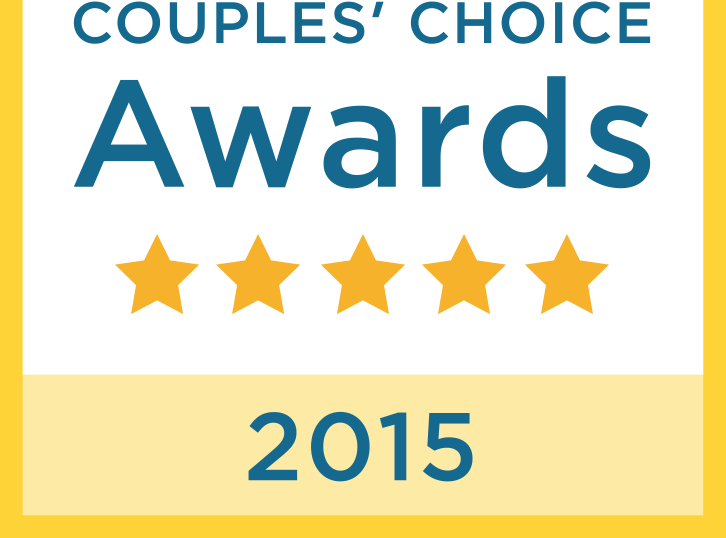 WeddingWire Couples' Choice Awards®recipients are "la creme de la creme" (top 5%) of wedding professionals in North America. The award is presented to companies who demonstrate excellence in quality, service, responsiveness and professionalism. Something Blue Wedding DJs has won the award for Southern Ontario for 4 consecutive years. "We had a very smooth and positive experience with Something Blue, and the price was one of the most affordable we have found! If I ever need a DJ service again, I will be coming to Something Blue. Highly recommended!" "We had the best time and it all comes down to your music! Something Blue Wedding DJ had us dancing all night! The DJ knew exactly what to play at all the right times. We thank SBWDJ for giving us an awesome night we will never forget!" When you book a wedding with Something Blue Wedding DJs you will be getting a well-dressed, responsive DJ who truly loves his or her craft and cares passionately about pleasing your guests. We profile our DJs so that they are all easy-going, outgoing, enthusiastic and dedicated to the success of your wedding day. Our basic package, which includes everything that most couples want from a great DJ service (including LED dance floor lighting), is only $845.00. Of course we offer all the little extras that you might want for your wedding including photo booths, screens and projectors, bubble machines, uplighting and much more. If you would like to book a wedding, ask a few more questions or would like to set up a meeting with one of our representatives please e-mail by clicking the Contact Us tab or call us toll-free at 1-800-675-4742. Bowmanville, Port Hope, Cobourg, Belleville, Peterborough, Oshawa, Ajax, Pickering, Markham, Richmond Hill, Toronto, Scarborough, Mississauga, Brampton, Milton, Guelph, Kitchener, Waterloo, Cambridge, Brantford, Ottawa, Brockville, Kingston, Cornwall and surrounding areas.